Complexity is the defining issue facing companies today. In the Age of Complexity℠, organizations need new strategies and mindsets to navigate to profitable growth. The world has become vastly more complex in the last decade, with the emergence of new technologies, greater customer variety, global operations, and shifting regulations. In many cases, this is good news—more choice and more convenience. But it represents a substantial shift for companies, many of which are still operating and making decisions informed by yesterday’s outdated frameworks and mindsets. Cost structure: In most businesses, complexity costs are the #1 driver of your cost-competitiveness. Complexity costs grow geometrically with complexity, to the point that they exceed the associated revenue, as is frequently the case for companies today. Growth rates: Long gone are the days when a product proliferation strategy is sufficient to achieve growth. Complexity swamps resources that would be better focused on higher-growth areas. Complexity also tends to undermine many indirect drivers of growth, such as customer experience and service levels. Risk exposure: In a complex operating environment, the number of interactions—and potential precedents for catastrophe—increase geometrically. This means many traditional center-led risk reduction approaches are no longer effective. We have focused our client work and areas of expertise on helping companies navigate to better costs, faster growth, and reduced risk. To build understanding around complexity, we frequently discuss the tenets of complexity with our clients, which are integral to our strategic and operational approaches. As the graph illustrates, complexity costs behave fundamentally differently to variable and fixed costs. In fact, it is worth highlighting that there are three types of cost, not two, as commonly believed. 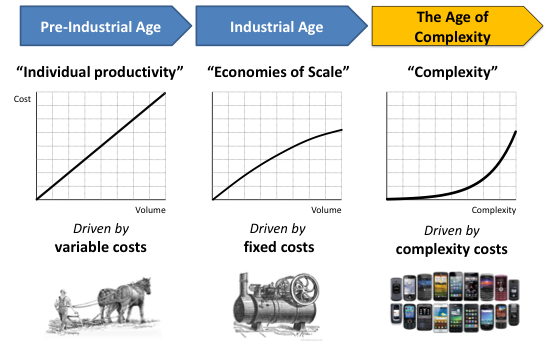 Fifty years ago, the complexity in our world was relatively low, so we didn’t feel the impact of this curve. But today, we are grappling with this geometric relationship. 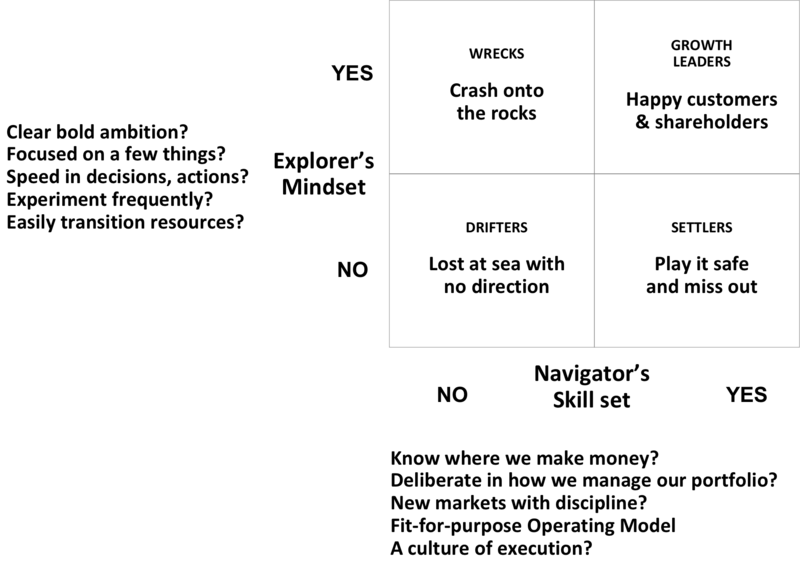 The result of this geometric growth is profit concentration. In many organizations, the most profitable 20% to 30% of products—or customers, segments, or regions—generate more than 300% of the profits in a company. This means the remaining 70% to 80% lose 200% of the profits. Cross-subsidization in the business and the masking of true profitability by standard costs practices has led to this situation. 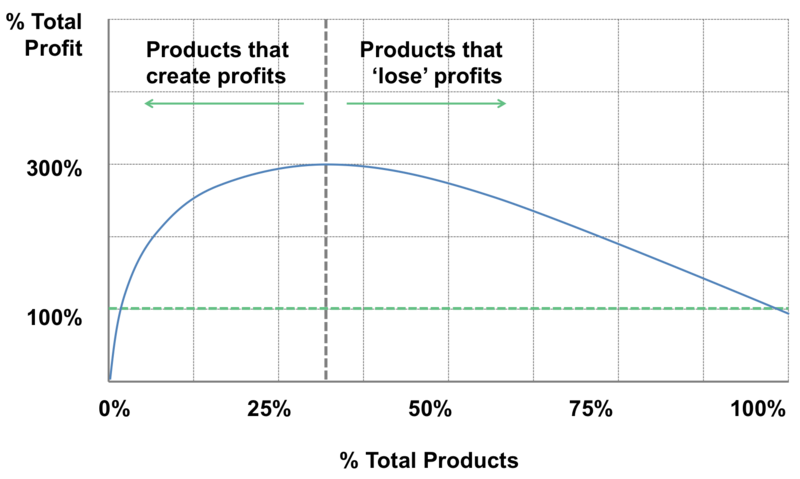 That is why often one of the first steps to address the impacts of complexity is to get a corrected, accurate view of profitability through Square Root Costing. Addressing the profit concentration issue obviously represents a profit improvement opportunity. But it is also a significant growth opportunity. By liberating the talent in your business currently deployed against low-profitability and low-growth areas, you have the chance to dramatically transform your revenue trajectory. Tackling complexity demands a different approach—and a different perspective. 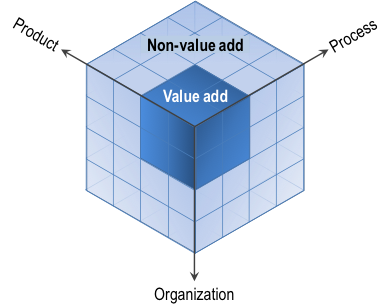 In Waging War on Complexity Costs, we introduced the Complexity Cube. 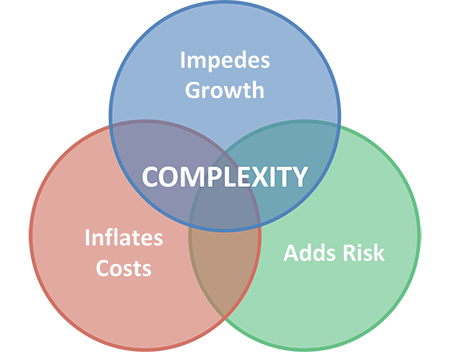 This simple diagram has continued to be a helpful framework for explaining the nature of complexity, illustrating the relationship between complexity and complexity costs. While it is possible to define complexity across three dimensions (product, process and organization), the impacts, or costs, of complexity live at the interactions. For example, when a manufacturer adds a new product to a line, it requires additional setups, increased inventory, more transportation and warehouse storage—non-value added costs within the process driven by the additional variety (’product-process complexity’). The more pieces you have, and the more different and interconnected they are, the more complex your organization is. The cube underscores that the only way to attack a systemic issue is with a holistic approach. Complexity is the single biggest determinant of your cost structure, but complexity is not just a cost issue. It can impede your ability to grow—as we discuss in our book Growth in the Age of Complexity—and it can dramatically impede your ability to manage risk, as the world has seen with incidents such as Deepwater Horizon. On the growth side, complexity can lead to indirect impacts that can impede the customer experience, as well as erode an organization’s ability to focus resources where it matters. On the risk side, complexity has eroded the value of traditional risk management methods. In a complex system, events 1) are too complex to anticipate, 2) develop so quickly there is no time to address them and 3) occur too infrequently to be understood. Where are we creating value today? How can we most simply, and most effectively, deliver to customers what matters? How can we grow with scale instead of diluting our current profitability?